I’m a petite New Yorker and wearer of many hats: I am an ecoblogger, bullet journalist, and artist with a fascination for the zero waste lifestyle, and strong ambitions to inspire individuals to practice sustainability in our everyday lives. Read on to find out more! I wasn’t lying when I said I cuddle them whenever I can! Ever since I can remember, I loved animals. When I was a child, I wanted to be a professional birdwatcher when I grew up, and can even remember playing with the large black ants in the playground in elementary school (not so keen on bugs these days though!) I am also known for being a “dog lady”; I am the proud mom of four Shih Tzus and like to consider myself a dog whisperer because despite my friends’ best efforts to deter me from petting dogs when I’m abroad, I gravitate toward any furry friend that wags its tail at me and comes to say hello. On most days, you can find me cuddling up with one of my pups while I binge-watch television shows or documentaries, as I work on the latest spreads for my bullet journal, or as I create content for you on my blog! Growing up in an Asian household, I was raised to follow one of the set tracks for success: becoming a doctor, lawyer, engineer, or another well-known, high-paying jobs. I was on a pre-medical track during my undergraduate career but soon learned that public health was really something I felt passionate about and wanted to pursue. Halfway through my undergrad career I switched over to a Psychology major and went on to pursue public health. I am so proud to possess a MSPH degree in Social and Behavioral Interventions, and truly feel like having a background in psychology also helped. By studying this specialty, I learned that it is not a quick trick to convince someone to alter their behavior or perceptions. One has to draw on theories, make observations, and ask questions to determine why people do what we do, and see what factors are preventing them from making a change toward a better lifestyle i.e. what keeps someone from recycling or eating healthy meals? I hope to use my degree to strategize and come up with solutions for different audiences to make attainable, eco-friendly changes to their lifestyles, and I look to you for your feedback and thoughts! I grew up surrounded by creativity. My dad used to carve miniature race cars out of wood, and me and my sister took art classes growing up. Some of that stuck with me, and I like to unleash my artistic side through my bullet journal and painting. I also grew up volunteering (our first volunteer gig was at the North Shore Animal League). I loved interacting with the community when I performed community service for school credit and in my free time. Since then, I have volunteered both domestically with New York Cares and internationally with UBELONG (read about my experiences here and here). I’m currently advocating for gender equality and the health, rights, and wellbeing of girls and women through my organization, supporting a network of 700 youth advocates in their work, and loving every minute. When I’m not busy advocating for sustainability and gender equality through my blog and work, you can find me in countries outside of the US exploring the markets to taste the diverse range of foods–I firmly believe that understanding cultures includes embracing and trying out the local food–and discover hidden gems such as artisanal works crafted in the region. 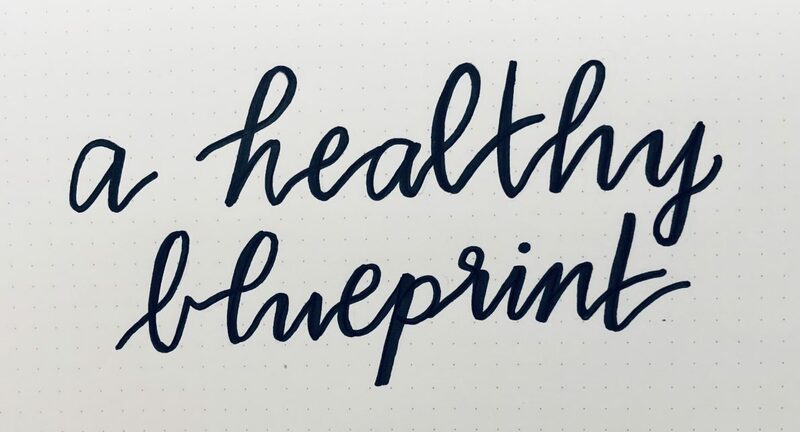 If you are new to A Healthy Blueprint, welcome! I am so excited to have you here and hope you will enjoy reading through the content that I share. As someone who is passionate about the Sustainable Development Goals, specifically those that pertain to protecting our environment, I want to share some simple tips that may help you become an even better Eco-Warrior and champion for the planet. Looking forward to connecting with you!